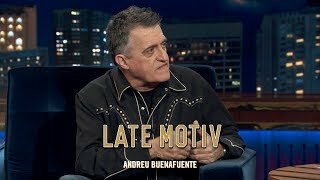 Hoy os dedicamos #LateMotiv500 a vosotros, los que estáis al otro lado. The song of LATE MOTIV - El Gran Wyoming. “El relator” | #LateMotiv500 is just for review only. If you really love this song"LATE MOTIV - El Gran Wyoming. “El relator” | #LateMotiv500", please buy the original song to support author or singer of this song.